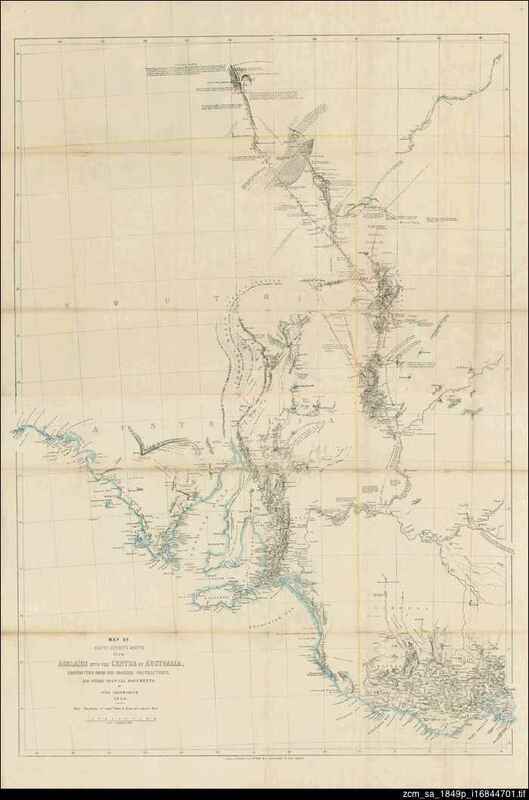 In 1843 Charles Sturt offered to lead an expedition into Central Australia and eventually permission was granted for an expedition that should 'ascertain the existence and character of that range running from the north-east to the south-west, to examine the rivers rising in it, and to observe the general appearance of the country towards the north-west'. Sturt decided to use a route that followed the Murray and Darling River, thereby avoiding the barrier of Lake Torrens which appeared to arc in a great horseshoe barring the way north. His party consisted of James Poole, Dr J Harris Browne, John McDouall Stuart, Louis Piesse, Daniel Brock, George Davenport, Joseph Cowley, Robert Flood, D Morgan, J Jones, Turpin, W Lewis, H Foulkes, J Mack, J Kirby, and R Sullivan. Equipment included a boat for travelling on the inland sea that Sturt still hoped to find, and a flock of 200 sheep - meat on the hoof. 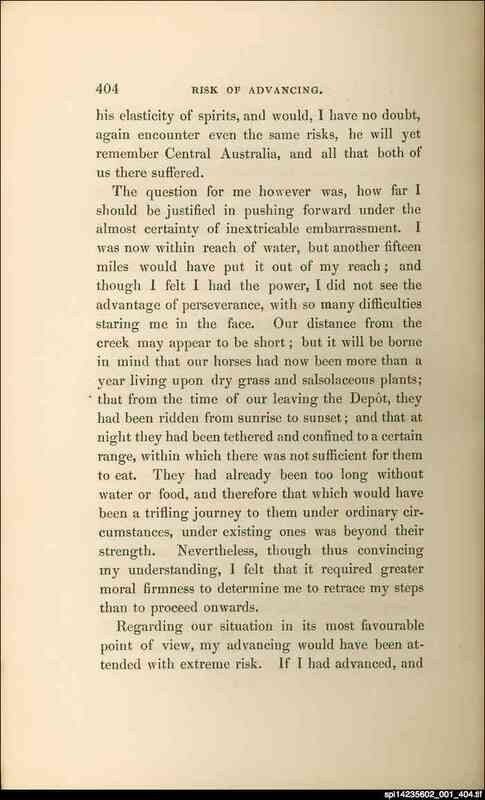 Edward Eyre accompanied them in the early stages of their journey. Leaving Adelaide on 10 August 1844 the party had reached Laidley's Ponds (north of Lake Cawndilla, and now part of the Menindee Lakes) by 10 October. From here they set out north-west towards the ranges. Already the land was dreary and unpromising; already it was a hunt for water supplies, for the men and the animals. Sturt and Browne with a few others usually moved out ahead of the main body of the expedition and when good supplies of water were located the rest of the party moved forward. 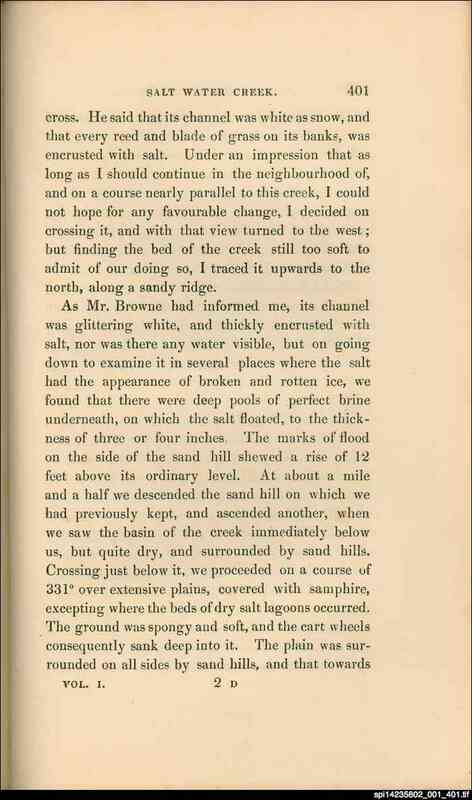 Poole and Browne made an exploration to the north-west with particular instructions to seek a usable route to the west of Lake Torrens or other lakes. From the evidence available it appeared they had reached the shore of Eyre's horseshoe lake. 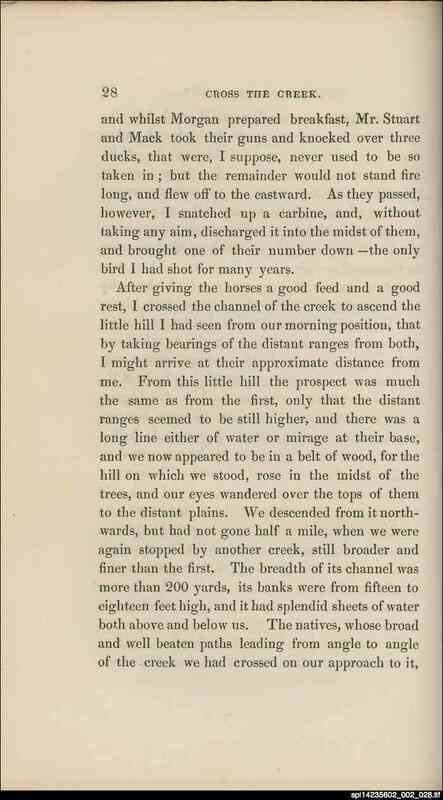 Robert Flood discovered a creek with deep waterholes and grass - it was named for him. The expedition advanced to it. Poole and Browne were again sent out, this time to the north-east. Slowly the expedition crept forward. 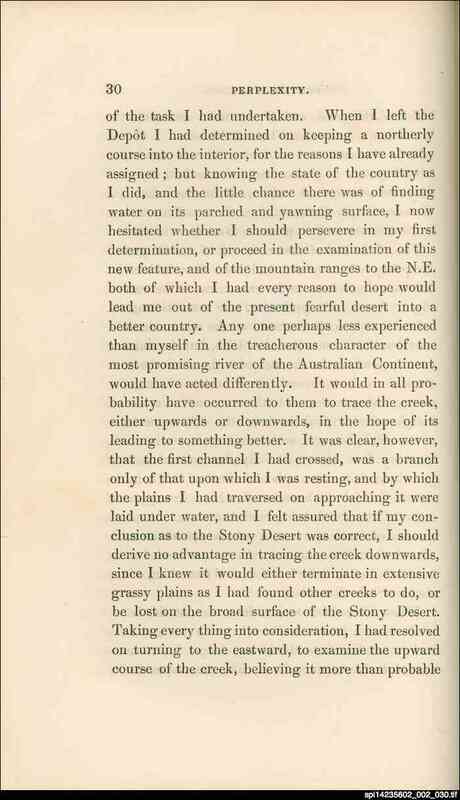 Sturt went with Stuart and Flood to explore the country between Flood Creek and the Darling but found only arid land. 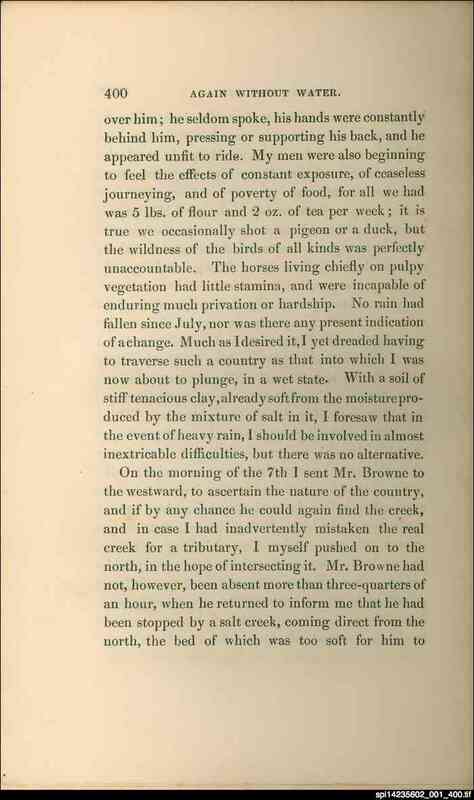 Poole and Browne returned having reached as far north as 28 ; they had found water but none that looked permanent. Sturt considered returning to Adelaide because of the lack of reliable water sources, but was persuaded to continue by Poole. 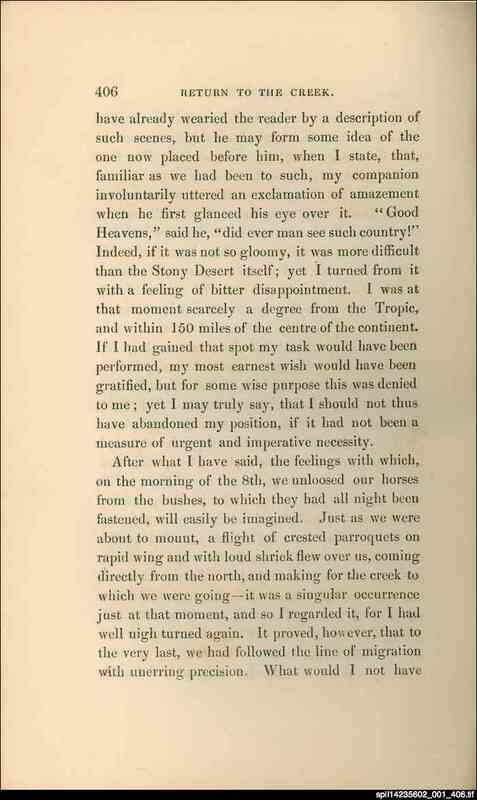 Late in December Sturt moved to the north - the bullock drays struggled over 'successive ridges of deep loose sand.' Finally a lagoon of foul water was reached and a well was dug nearby. Poole and Browne were again sent out in advance; again the expedition moved forward to another rapidly drying pool. Sturt moved ahead, and a creek was traced to the hills. Again Sturt passed into a desolate desert where 'the sand ridges succeeded each other like waves of the sea.' He returned to the hills and struck out to the north-east. The appearance of the land convinced Sturt that he was not far from an inland sea. Confined to camp by weather and health, the men began to erect cairns on the adjacent hills. Midway through June Sturt began to plan a division of the expedition, with part to return to Adelaide, carrying the report of discoveries to date. Poole was to lead this. Rain fell on 12 July and several days later the returning party set out. Two days into the journey James Poole died and his body was returned to the rocky glen for burial. Piesse now led the returning party home to Adelaide. Sturt and the remaining men headed to the north-west. A new depot was established at about 29 S and named Fort Grey. Here a yard for the stock was built and leaving instructions for a vegetable garden to be sown, Sturt set out to the west. Sand-hills and salt lagoons again were found. He returned and shortly afterwards set out for the north-west with supplies for 15 weeks. Strzelecki Creek was discovered and crossed. More sand-ridges were crossed. The land temporarily improved, and then more sand-ridges were encountered. 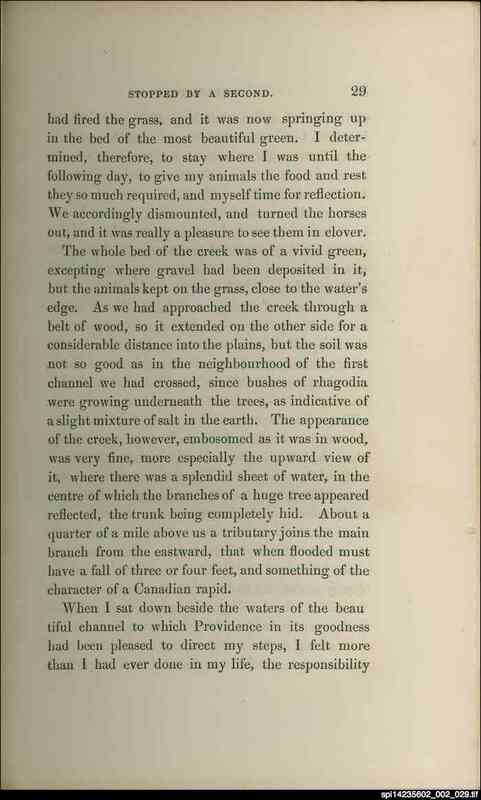 Finally in early September a fine creek of water with grassy banks was found and named in honour of Edward Eyre. This however petered out into the sand. Finally Sturt decided to return to Fort Grey. This was his furthest point north and he had been halted by what would be later named the Simpson Desert. He was only 150 miles from the centre of the continent. A few days later Sturt set out again. Accompanied by Stuart, Morgan and Mack he departed on 9 October, and pushed north from the previously discovered Strzelecki Creek. 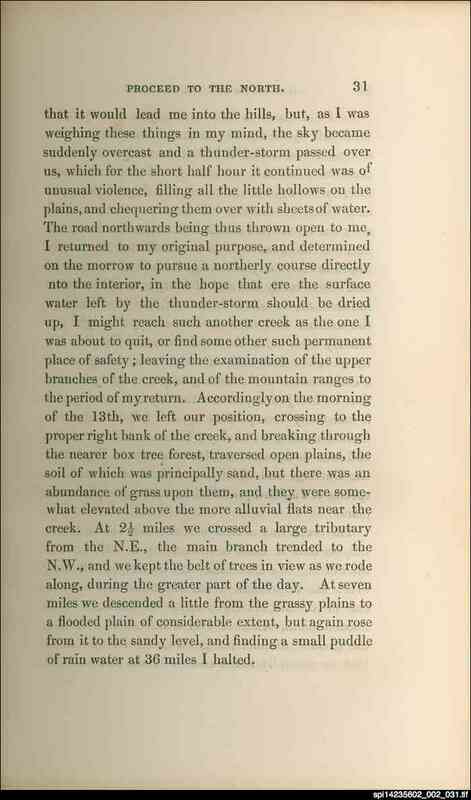 It was on this journey that Sturt's expedition discovered Cooper Creek. Sturt however continued northwards, persuaded by a sudden storm that meant there would be water ahead. Once again sand-ridges were encountered. On 19 October he reached the borders of the Stony Desert. The party progressed some way into this but finally Sturt was compelled to return. Sturt made one last foray to the north-east, but by the 28 October was back at Cooper Creek. He spent some time exploring this before returning to Fort Grey where he arrived on 12 November. 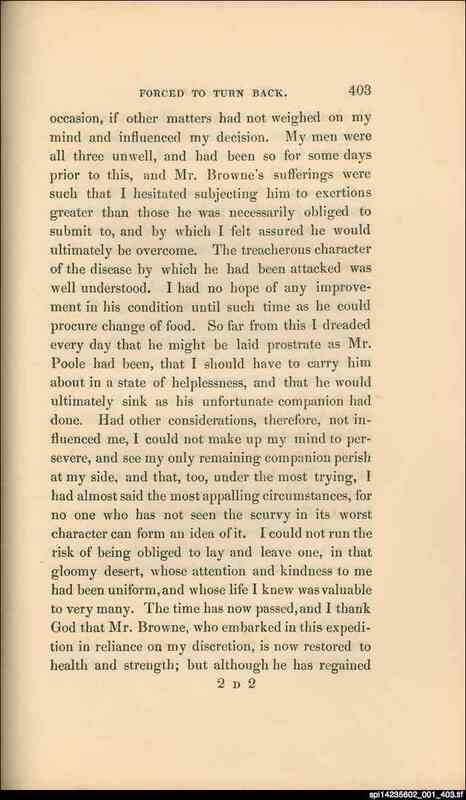 Browne and the other men had already left but Sturt and his men caught up with them a few days later. 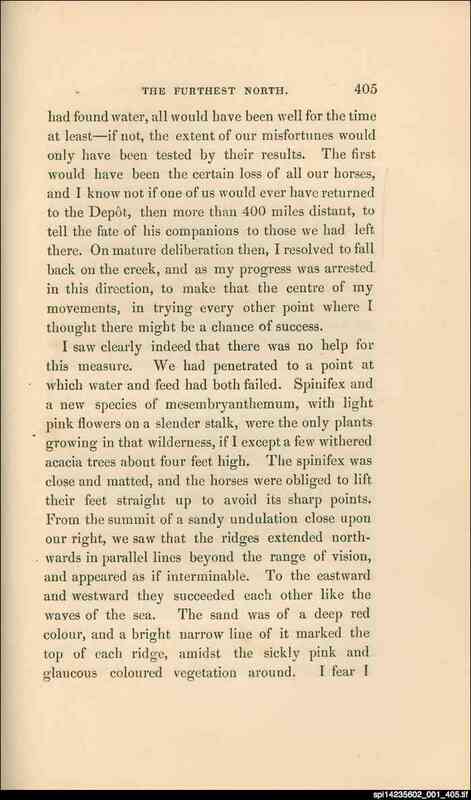 The expedition now began the long return to the Darling River. The whale-boat was finally abandoned at Depot Glen - there had been no inland sea for it to sail on. Instead it was floated on the creek. The expedition reached Moorundie on 15 January 1846. 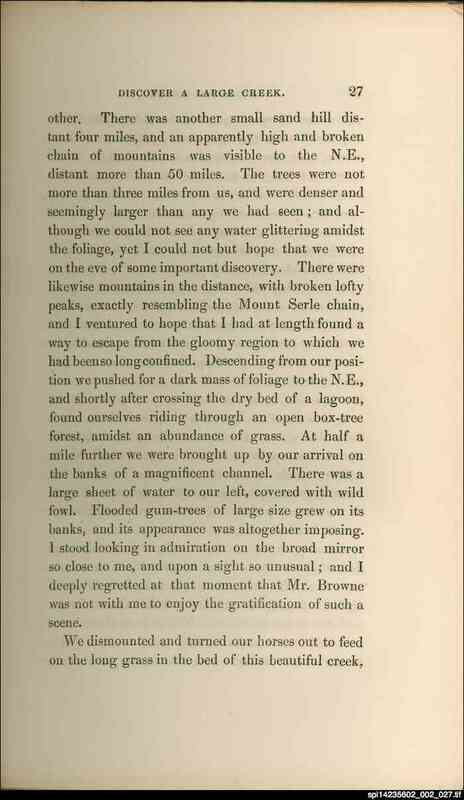 Sturt believed he had not found the mountain ranges in the interior that he had been sent to discover. However the Barrier Ranges, low and desolate as they are, do constitute the spine of the continent and form the watershed. It would be another 12 years before anyone would push further north from the southern latitudes than Sturt had done.